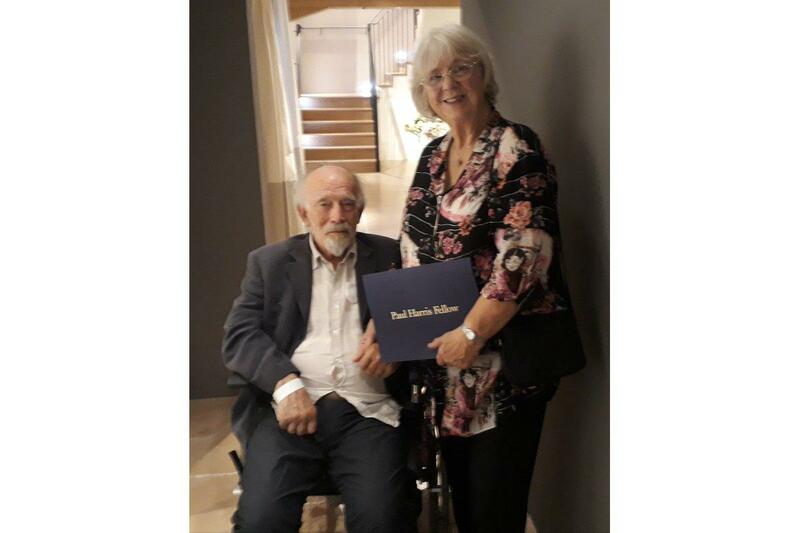 Rotary recognises the service given by one member of the Chiltern Chamber of commerce who has given unselfish support to the community for many years. Two organisation in the community came together on the 18th September at the Neptune Store in Chesham. One aspect of the evening was for members of both organisations Chiltern Chamber and Chesham Rotary Club to meet as both organisations have a lot in common with the service in the local community. This meeting is hopefully the beginning of more understanding between members of both organisations and the beginning of working together on future activities to the benifit of the community. Rotarians were welcomed to the meeting by Town Mayor Councillor Jane MacBean. 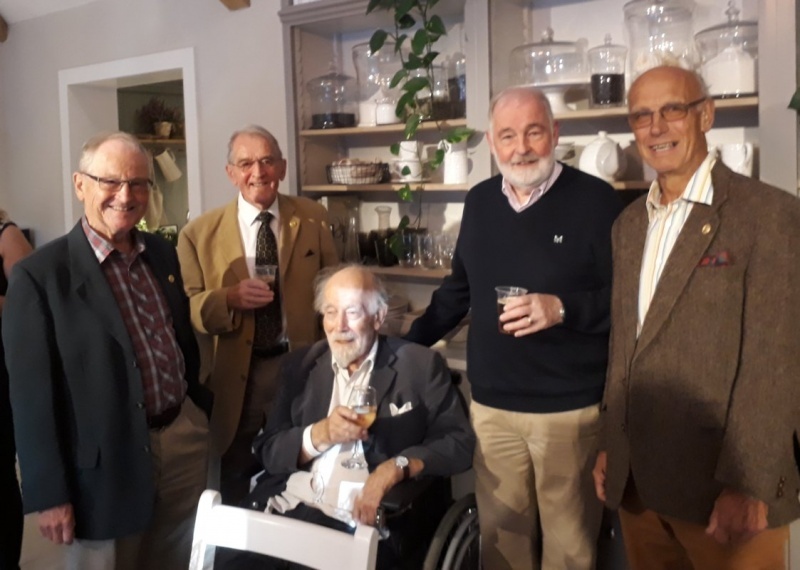 The opportunity was taken at the meeting for Rotary to recognise the service given by one member of the Chamber who has given unselfish support to the community for many years through the changes to the organisation. 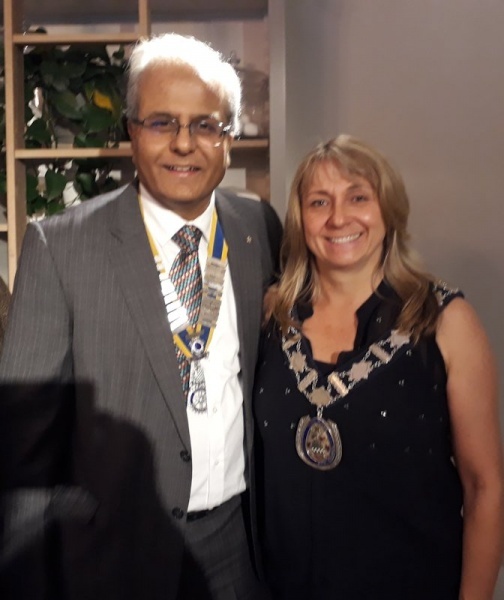 As a result President Kalpesh Patel presented the Rotary Foundation award of a PAUL HARRIS FELLOWSHIP to the Chamber Secretary Mrs Jean Pritchard. Members of the Rotary club including Rotary Past President Bernard Pritchard PHF attend the meeting to recognise Jean for her work in the community and a true friend to Rotary for many years.